Even the most professional women may encounter unwanted advances when least expected. The best defense is to have a strategy. It's small business week. Do you know how women entrepreneurs are doing? 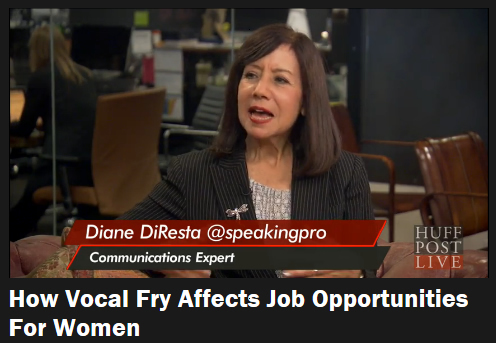 Diane DiResta, owner and CEO of DiResta Communications, attended the Global Summit of Women May 20-22 at the Marriott City Wall Hotel in Beijing and reports that there are more women entrepreneurs in China than the entire United States population at 300 million. The Global Summit of Women celebrated its 20th year with the theme, "Women at the Forefront of Change." The annual conference, headed by Irene Natividad, is unique in that it brings together government leaders, Non-Governmental Organizations (NGOs), corporations and entrepreneurs who are committed to improving women's economic status worldwide. The conference attracted 1000 women from around the world with Mongolia being the largest group. Presentations were in English and Chinese. Prior to the summit DiResta was invited to a briefing and reception at the United States Embassy. The panel concurred that the key to doing business with the Chinese is building lasting relationships. Professor Qing qi' Shir stated that despite the extraordinary number of Chinese women entrepreneurs, the number one roadblock for Chinese women business owners is access to capital and the primary source of information and technology is the Internet. She shared that 97% are optimistic about the economic future. China had a 9.8% growth rate during the financial crisis. Some of the speakers included: The honorable Nguyen Thi Doan, Vice President of Vietnam, First Lady Salma Kikwete of Tanzania, Hon. Maud Olofsson, Deputy Prime Minister, Sweden, and Cheng Hong, Vice Mayor of Beijing. A highlight of the conference was the introduction of the first Saudi woman to become a government representative. Social, economic and political leadership issues were discussed. In Tanzania, for example, getting tested for HIV is a stigma so the First Lady stepped up and got tested in public. The conference provided an economic opportunity for local women who could set up a booth and sell their jewelry and wares. Ms. DiResta, who is an International speaker and public speaking strategist, stated "The conference shattered myths and misconceptions we have of each other. I was surprised when two women from Oman sat next to me and invited me to two of their conferences. I didn't realize there were so many women entrepreneurs." One woman changed her opinion about Americans when she met someone from the U.S. who could speak several languages. Across cultures, a major universal issue still remains: Women are underrepresented on boards, as corporate CEOs, and in getting funded. Next year's conference will be held in May 2011 in Istanbul, Turkey.